There they are, scurrying underfoot while they carry on foraging ceaselessly all day long for their next meal of arthropods in the underbrush. They are small, shy and elusive. We scarcely ever pay them any mind – if at all. Perhaps we should. Mountain treeshrews (Tupaia montana) may not be the most exciting animals in Malaysia’s world-renowned ecosystems with their stunning flora and fauna, but they are unique creatures in their own right – and endemic to Borneo, to boot. Then there are their aquatic cousins, Malayan water shrews (Chimarrogale hantu), which you’ll find only in the forests of Selangor. And lucky you are if you do come across one during your sojourns in local forests. 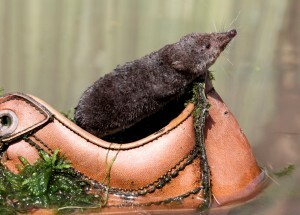 These shrews with their red-topped incisors and tapering snouts are listed as critically endangered and spend much of their life underwater –in lakes, streams and rivers – expertly navigating their way through the currents. They like to place the entrances to their burrows underwater, the better to protect them from uninvited guests. 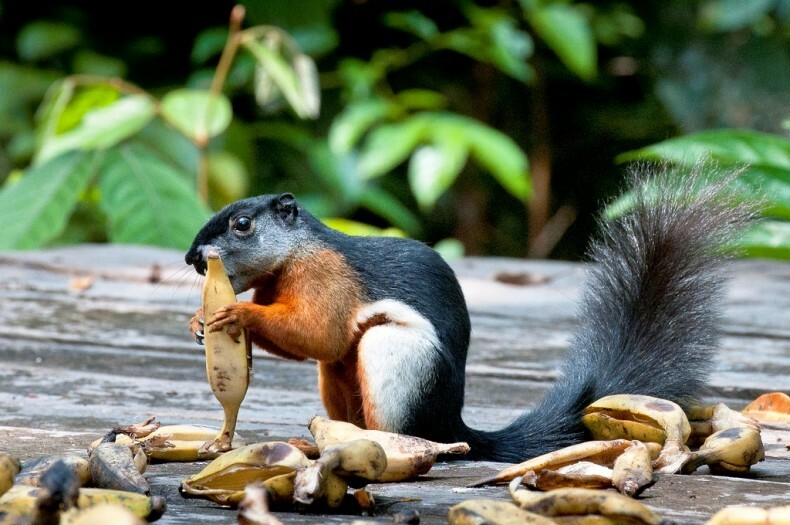 And let’s not forget Kintabalu squirrels (Callosciurus baluensis), named after Mount Kintabalu, which forms part of their natural domain in the highland forests of Eastern Malaysia. Found nowhere else on earth, they scamper about in the foliage with the jittery alacrity of their kind. They may end up living alongside their picaresque tricolored cousins, Prevost’s squirrels (Callosciurus prevostii), those truly eye-catching critters with their black coats, underpants of autumnal russet and white flanks. It’s not for nothing that these arboreal rodents belong to a genus known as “beautiful squirrels,” for beautiful they indeed are. And so are Borneo’s four-striped ground squirrels, which spend most of their time at ground level, right their with plenty of shrews. Why are we going on about shrews and squirrels? you may wonder. Because the presence of all these rodents, living their lives in relative obscurity in Malaysia’s forests, testifies to the country’s stunning tapestry of wildlife. Yet since we tend to fix our gaze on majestic beasts like tigers and elephants, we often overlook these lesser known and less celebrated yet equally fascinating members of the nation’s animal kingdom. That’s a pity. Forests from Sabah to Selagor will need to be saved for the sake of all their inhabitants, little squirrels and tiny shrews included.